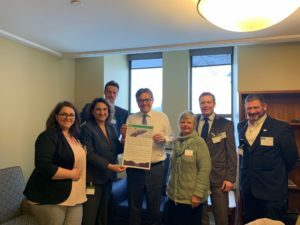 On Tuesday, April 9, Nature Canada and a team of organizations from the Nature Network delivered a major ocean protection petition containing 7732 signatures to Minister of Oceans and Fisheries Jonathan Wilkinson. The petition brought together voices from across Canada - from locals on the East Coast who see migrating whales every season, to concerned citizens in downtown Toronto or rural Manitoba who want to see the Laurentian Channel protected. Together we delivered a simple but powerful message: the ocean life travelling this migratory waterway off the coast of Nova Scotia needs protection now! Protection must mean protection--from boat collisions, bottom trawling, seabed mining and oil and gas. Together with the Ecology Action Centre we also presented the Minister with a second petition with over 3500 signatures that demands an end to oil and gas and other harmful industrial activity in all marine protected areas. 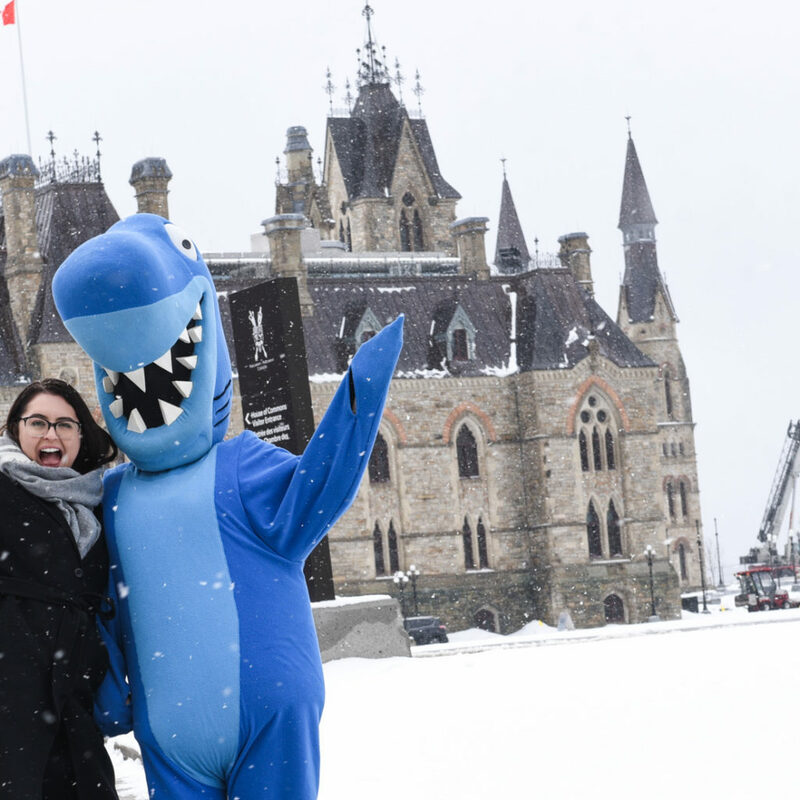 There was no escaping citizen voices for nature that day on Parliament Hill. We were there for #NatureDay working with local groups from across the country to bring a message to our elected representatives that Canada needs to double protected areas by 2020. Protecting the Laurentian Whale Passage must be a key part of this action. We are grateful for all of those who have signed the call to action. Your voice joins a chorus of others. Nature Canada isn’t the only organization working on this area. We want to recognize years of work from other groups, including Ecology Action Centre, World Wildlife Fund and Canadian Parks and Wilderness Society. We’ve delivered the petitions, and you may be wondering what happens next. Our meeting with Minister Wilkinson was positive. Last week, during the announcement of a new agreement with the province of Newfoundland and Labrador, the government indicated it will restrict petroleum development in the proposed Laurentian Channel Marine Protected Area. We’re seeing early, positive signs that the government may be at a tipping point in the decision to permanently protect the Laurentian Whale Passage. We can’t say for sure when the government will announce a decision on the new protected area and the protection standards that will be applied. We hope it will be a matter of weeks, rather than months. Your signature will help speed the process up. Thank you for your help. There are no guarantees-- so until the Laurentian Whale Passage is protected, we’re still collecting signatures. If you haven’t already, please add your name and help us protect iconic marine species today! Among the plants and animals of this semi-arid desert, a wide range of species exist. Most of them are exclusive to this highly endangered ecosystem. The Western Rattlesnake, the Flammulated Owl, the American Badger and the Mariposa Lily are all at risk. They are just a handful of the 56 endangered species that rely on this ecosystem to survive. For many, it’s the only place they can call home. Protecting this area is crucial to the survival of all the species at risk. For the past 20 years, a plan to make the South Okanagan-Similkameen desert a National Park has been in the works. You might be thinking, “But, why so long?” First proposed in 1998 under Prime Minister Jean Chretien’s government, now ex-senator Ross Fitzpatrick got the ball rolling on the proposal for a National Park in the desert. With the South Okanagan-Similkameen being such a prized ecosystem, it's important to have this area protected before it degrades any further than it already has. Our country's goal is to protect and conserve 17% of our land and freshwater, as well as 10% of our coastal habitats by 2020. Good news for those who love nature and want to see it protected. This month, two new conservation areas – home to endangered species and unique habitat – have been added to the map. The effort to conserve 17 per cent of our land and waterways and 10 per cent of our oceans by 2020 is well underway. Canada is the world’s envy for our natural expanses and unique wildlife, and it is our responsibility to ensure their protection. This month two new areas – one terrestrial and one marine – have been declared protected by the federal government. Conservation efforts are always worth celebrating. 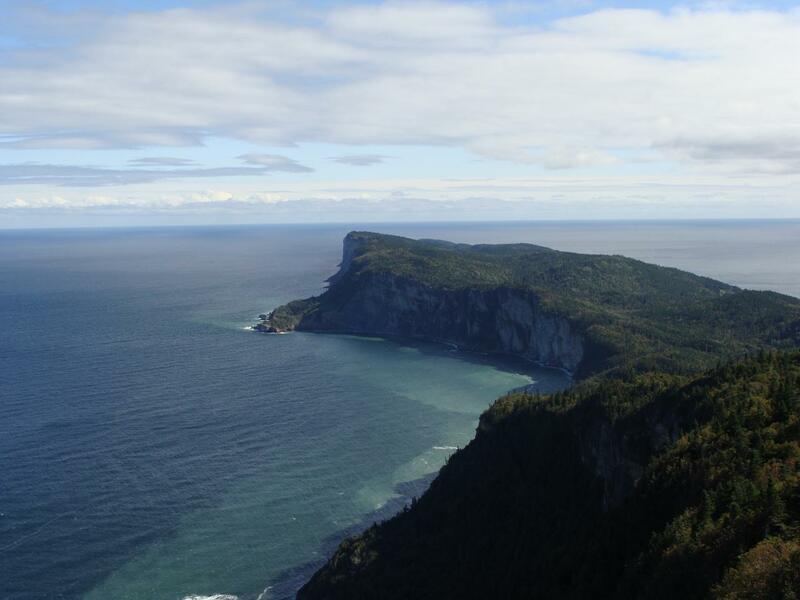 The Banc-des-Américains, located on the eastern tip of Quebec, is a wonderful example of what a protected area can achieve when different levels of government work together with Indigenous communities and local organizations. With the highly endangered North Atlantic Right Whale and Blue Whale frequenting these waters, March 6, 2019 can be celebrated as a historic date when a key part of these whales’ territory became safe to roam, feed and raise their young. Many other species will benefit from the protection as well from corals to cod. 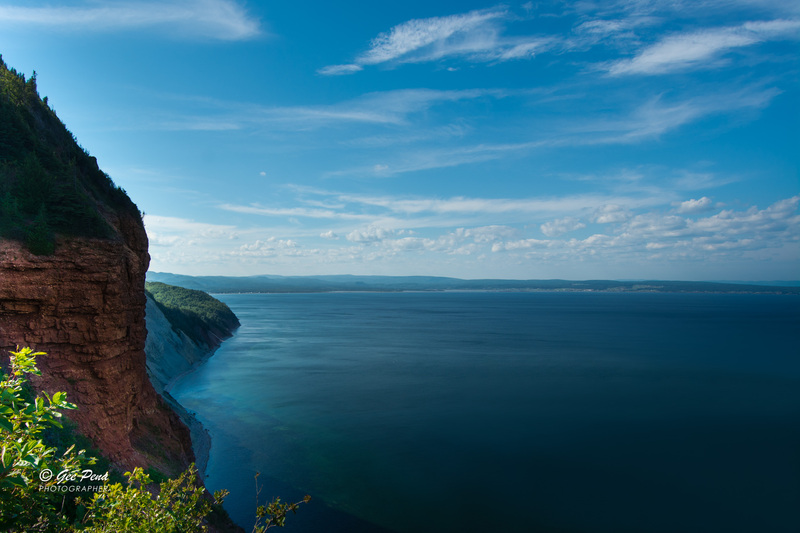 Now an official protected area under Canada’s Ocean’s Act, this area in the Gaspé Peninsula is shielded by law from grey-water disposal, sewage discharge, and crucially, oil and gas activities. This is one of many major marine conservation efforts we anticipate this year that will help Canada reach that important 10 per cent goal. With 2020 fast approaching, protection of crucial prairie landscape on the Canadian Forces Base Shilo in Manitoba represents another mark of progress in protecting at-risk species. Working together, the Department of National Defense (DND) and Environment Canada analyzed 21,138 hectares on CFB Shilo. 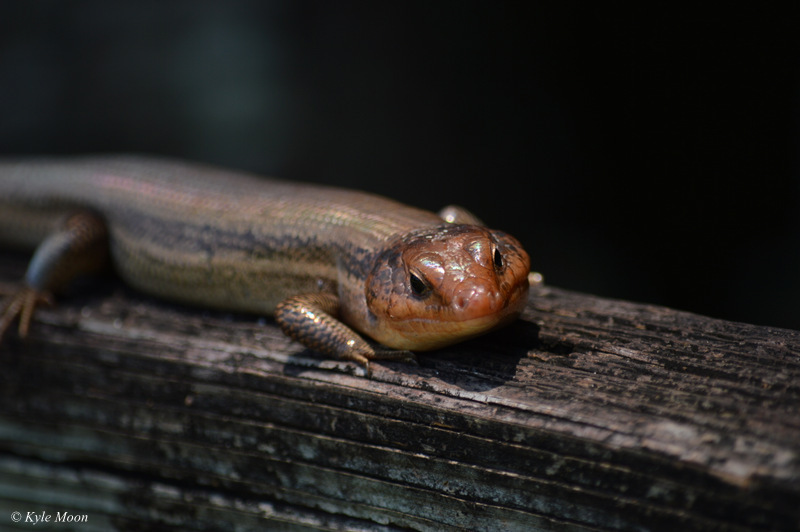 The rare mixed-grass prairie ecosystem is recognized as an area teeming with biodiversity and home to 17 at-risk species, including the province’s only lizard—the Prairie Skink. DND has agreed to manage the area in ways that support these endangered grasslands and the wildlife that call it home. For it to count towards Canada’s 17 per cent target, the commitment of stewardship must be long term, which is crucial for ensuring the area’s viability. The announcement is good news for wildlife. With land on CFB Shilo and Banc-des-Américains now formally protected , momentum is building. We’re on our way to meeting our targets, and we need to stay on track. Conservation and protections for nature are the key to our collective future. The agricultural boom in the early 1900s took its toll and resulted in the species being severely threatened in the 1930s. Ranchers and farmers consumed their territory, dividing the ferret's habitat. By 1974, the Black-footed Ferret was believed to be globally extinct in the wild. There wasn’t a shred of hope in seeing these creatures in their natural habitat again, until a small population was discovered on a farm in Meeteetse, Wyoming. The Black-footed Ferret is now the rarest mammal in North America, their total population being only 18 by 1987. The Toronto Zoo has been working on a recovery plan for the Canadian population of the Black-footed Ferret since 1992. The program gives researchers the opportunity to study them in close-quarters while rebuilding the population. The males are generally larger than the females, but only slightly, their lengths varying from 18-24 inches. In captivity, they can live to nine years, but in the wild, three years is the average lifespan. Thanks to the efforts of a dedicated few, the Black-footed Ferret’s Canadian population in the wild is returning to numbers no one thought possible. Reintegrating the Black-footed Ferret into Canada’s Prairie Grasslands has had its ups-and-downs. Since the 1980s, Black-footed Ferrets have only been bred, born and raised in captivity. Their territory once spanned from Northern Mexico, upwards throughout the American Mid-West, and ended in the grasslands of southern Saskatchewan and Alberta. Currently, Grasslands National Park houses the largest population of Black-footed Ferrets in all of western Canada. Black-footed Ferrets are still highly endangered. Exotic illnesses like the sylvatic plague and canine distemper threaten populations. Habitat destruction due to suburban and urban development leads to the loss of their main food supply, the Prairie Dog. Reclaiming their home in the Prairie Grasslands of North America is still an uncertain task. There is an urgency to not only preserve their new wild populations, but to share the importance of the Grasslands. The Prairie Grasslands ecosystem is the most endangered on our planet. This seems like a bold statement, but with our forests and oceans getting a lot of needed attention, this vital landscape goes unnoticed. 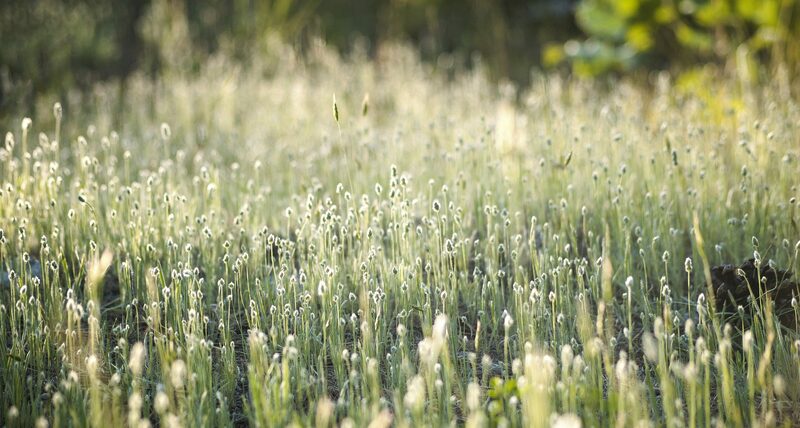 Our Grasslands need just as much help. Home to rare animals, over 70 species of grass, and 50 different wildflowers, this ecosystem is essential to their survival. 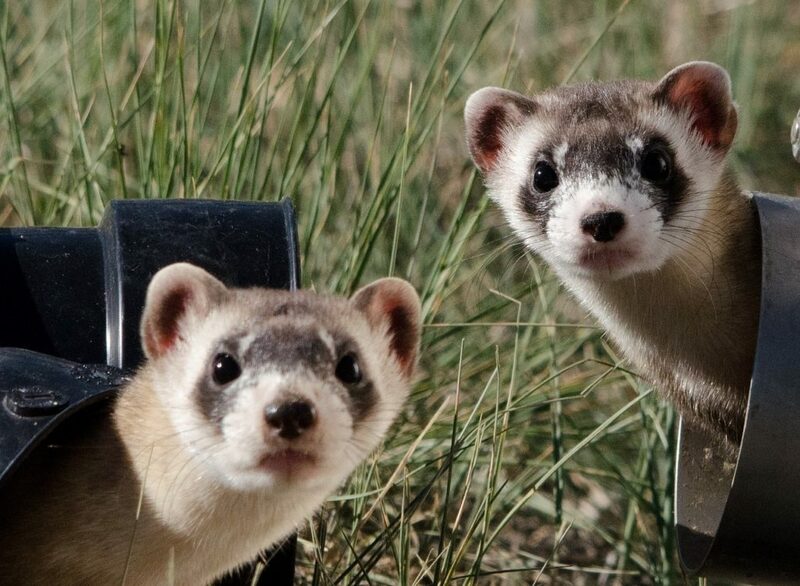 The Black-footed Ferret now calls Grassland National Park home for the first time since the early 20th century. To continue its success, we’ll need to protect more grassland areas and take care of what is left. The Governments of Canada and Manitoba have announced that they plan to work together to protect nature at Canadian Forces Base Shilo. The announcement represents a new approach – where Environment Canada and the Department of National Defence (DND) are working together to identify the conservation potential of lands on a military base. It’s a new way to think about nature protection, and Nature Canada salutes the effort. It’s an approach we want to see provide long-term protection for the 17 at-risk species that live on the base. As you’d expect, many parts of Canadian Forces Base Shilo in southwestern Manitoba are busy areas with vehicles, buildings and foot traffic. Fortunately, other areas on the base remain natural mixed-grass habitat, and it is in these undisturbed areas that endangered species like the Prairie Skink (the province’s only lizard) make their home. The federal government evaluated the area and as of March 7, 2019, with DND’s support, it has been designated an “Other Effective area-based Conservation Measure” or OECM. The new status recognizes the site as being managed in a way to conserve biodiversity and it means the land can be counted towards Canada’s target to protect 17 per cent of terrestrial areas and inland water by 2020. While the OECM status is new for a military base, it’s not the first time there have been conservation efforts on such lands. 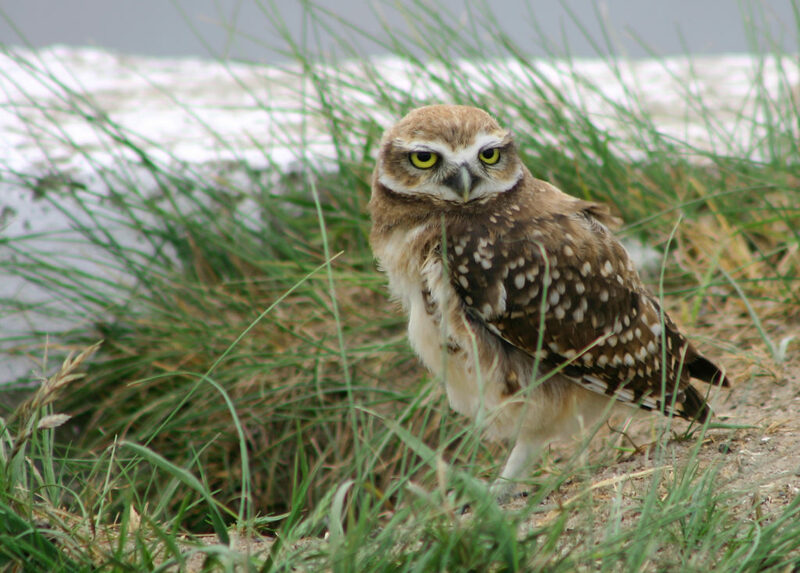 In 2003, Nature Canada was part of a push to have 458 square kilometres of CFB Suffield in southeastern Alberta set aside as the Suffield National Wildlife Area. Thursday’s announcement recognizes the biodiversity value of 21,138 hectares of CFB Shilo – tho unlike Suffield, the commitment to protection is not necessarily permanent. The government backgrounder notes the OECM status can be removed at any time if the future land use is not compatible with conservation. Nature Canada welcomes new possibilities for expanding protected areas such as on CFB Shilo. We look forward to seeing how the process can result in effective and long-term protection for nature under international conservation guidelines. To protect other critical areas in Canada, like the South Okanagan Similkameen, click here! Nature Canada is pleased to share some fin-tastic news: the Banc-des-Américains on Quebec’s east coast is now officially protected habitat for whales, fish and other marine life. On Wednesday, the regulations for the newest marine protected area were officially made into law under Canada’s Oceans Act. That means an additional 1,000 km2 (0.02%) of Canada’s ocean habitat will have long-term protection, bringing us a step closer the goal of protecting 10 per cent of Canada’s marine and coastal areas by 2020. Located in the far eastern tip of Quebec - on the Gaspé Peninsula - the Banc-des-Américains is a unique habitat on Canada’s east coast. The bank stretches off the coast underwater, where the Gaspé and Chaleur Bay currents meet. The combination of unique rock formations, along with rich nutrients brought in by the currents, supports an unusually rich population of sea life. The abundance of fish and crustaceans found here (including herring and krill) makes it an valuable feeding ground for big marine mammals like the endangered North Atlantic Right Whale and the Blue Whale. 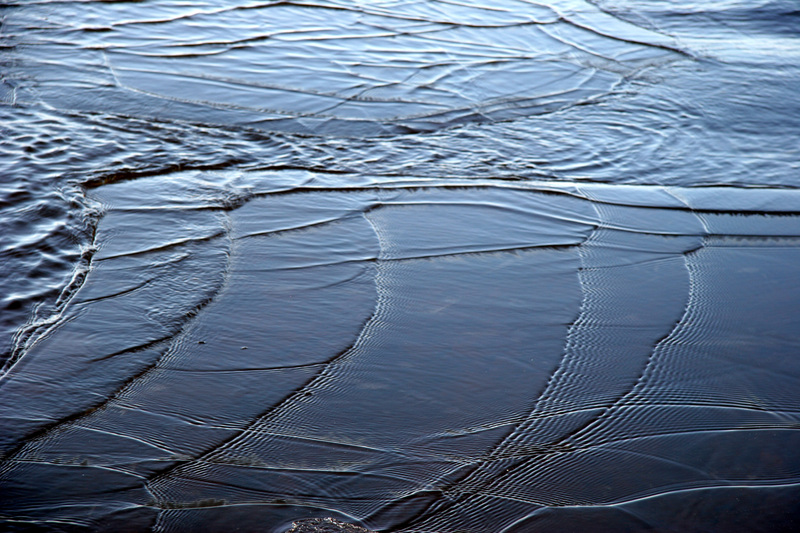 Nature Canada especially applauds that the regulations prohibit oil and gas activities, discharge of sewage and release of grey water from large vessels throughout the entire area. Designating protected areas helps safeguard habitat and biodiversity. We need effective protections like this and we hope for similar results for protection of the Laurentian Whale Passage. The creation of the Banc-des-Américains marine protected area was a cooperative effort between the Department of Fisheries and Oceans and the Quebec government. Important consultations also took place with the Mi’gmaq First Nation of Gespeg, Gesgapegiag and Listuguj as well as fishing associations, local communities and conservation organizations. Together we can make a difference for Canada’s wildlife! *The photo at top of page supplied by Gee Pena/Creative Commons 2.0. What do you get when you multiply a Tyrannosaurus Rex by eight? At about 65,000 kilograms you get roughly the weight of one North Pacific Right Whale! These massive sea creatures are aquatic mammals, but despite their need to come up for air they're able to dive for as long as 60 minutes! Such large animals tend to have higher energy requirements than most others and North Atlantic Right Whales are no exception. On any given day the carnivorous whales can eat up to 2500 kilograms worth of food. Like many animals, the whales’ migration habits are based on climate. They will often head south in the winter (their calving season) for their preferred breeding conditions. The whales live throughout the North of the Atlantic Ocean, mainly concentrated on Canadian and US coasts. Despite their frequent migration, certain conditions are considered optimal for the whales to live in. Thus far, two regions with such conditions (called critical habitats) have been named for them in Canada: the Bay of Fundy and the Roseway Basin. Following the vast declines (and eventual extirpation) of these whales from Western Europe, whalers made their way to Canada in search of more. After their arrival in the 1500s, the North Atlantic Right Whale's name was given by whalers who determined them to be the ‘right’ whales to hunt. Being the ‘right’ whale for centuries took its toll on North Atlantic Right Whale populations. Among other features, their blubber and oil made them attractive targets, with whalers pushing them to near extinction in the 1900s. This excessive hunting eventually led to a hunting ban in 1935. [caption id="attachment_48823" align="alignnone" width="1024"] © Alan Woodhouse[/caption] So what's the issue? Although international protection and hunting bans have addressed the threat of over-hunting, they still face several other types of danger. Large ships and fishing equipment are have been problematic as the whales' size and lack of speed make it more difficult to avoid such obstacles. Furthermore, their birth rate is inefficient as a solution, as the females are now only giving birth every 9 years, with their window only lasting approximately 28 years. This inefficiency is compounded by the fact that the population is already very small. As a result of these issues and the history of over-hunting, the whales' SARA and COSEWIC statuses have them listed as an endangered species. What can we do? 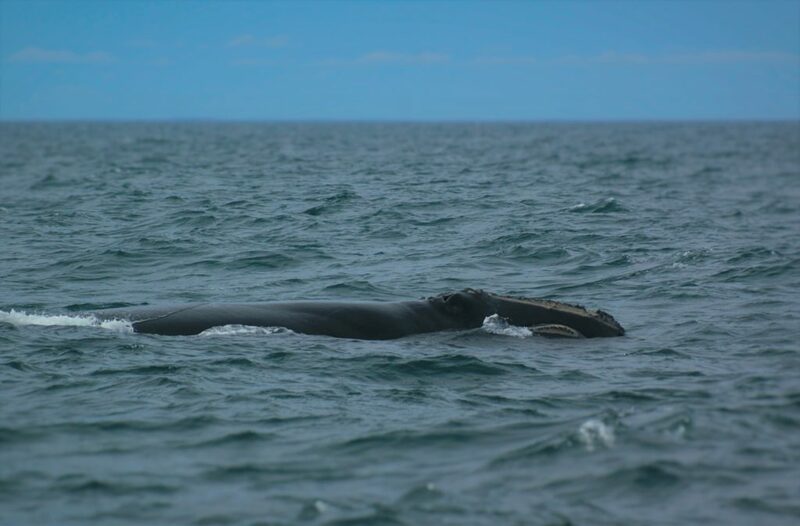 Currently, a Recovery Strategy has been put in place by the Government of Canada to help rebuild right whale populations. Supporting government projects such as this one is critical to bringing their population back to stable numbers. Reporting sightings and emergencies is also very important to help scientists keep track of what's going on. In our day-to-day it can be difficult to budget much time to so many causes, so supporting NGOs' research or action efforts is a great way to get personally involved and getting more acquainted with the SARA species profile to learn more is a great start. Medium-sized; 40-65 mm long - Hues of olive, browns, light-gray shades; dark, raised patches on its back - The soles of its hind feet are spiked with spades – used to burrow - Possess “cat eyes” separated by a glandular bump in the middle (a.k.a. a “boss”) - Resides in dry grasslands and open forests; needs a combination of terrestrial and aquatic habitat - Habitat is threatened by agricultural activity and land development Research on rare species in the South Okanagan was undertaken by our writing intern Blair Scott. What an incredibly successful year for Nature Canada, and because of your support and the generous support of thousands of Canadians, it was a historic one. The 2018 Federal Budget 2018 was by far the biggest win for nature conservation in a generation. The $1.3 Billion dollar invested is the essential first piece to secure protected areas in Canada. New protected areas announced in 2018 included Scott Island Marine National Wildlife Area and Edhezie Indigenous Protected Area. Strengthened Environmental Laws that will improve environmental reviews of development projects that have potential impact on the environment. Together we are protecting Canada’s land and waters and saving species from extinction. 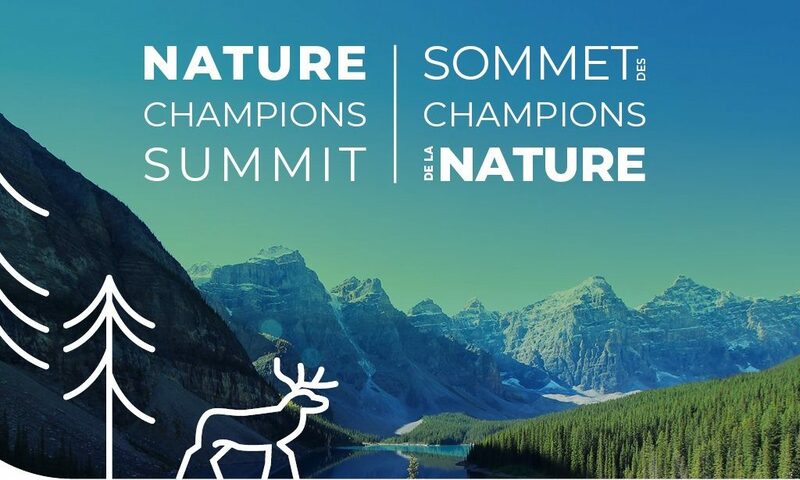 You, the Nature Nation members and Nature Network partners that span across this great country from coast to coast to coast, we have grown by the tens of thousands and Nature Canada is proud to represent this movement of nature lovers. 2019 is a year of action! A year to take action to create more protected areas in Canada in order to reach the Aichi target of protecting 17% of lands 10% of coastal and marine areas by 2020. Together, we are defending endangered species and critical habitat from the ongoing threats of climate change, development, industry and urbanization. Your voices are advocating for stronger environmental laws that will protect our wildlife and wilderness and the ecosystems that provide us clear air and fresh water. Your support is saving species from extinction by protecting critical habitat and educating individuals and local government about the importance of taking action to protecting wildlife. 50% of wildlife species are in decline. There is no other way to spin it, we are on the brink of an “ecological Armageddon.” And the best way to protect species at risk is by protecting the critical habitat they call home. From coast, to coast, to coast your support is pushing for more protected areas, prioritizing places that are in urgent need of protection based on threats, habitat importance and species at risk located there. Nature Canada and BC Nature further maintain that the NEB should not make findings about ecological consequences of such impacts except where the preponderance of evidence justifies a particular finding. Where there is scientific uncertainty about impacts, the NEB should err on the side of caution and favour a recommendation that the project is likely to cause significant adverse environmental effects that cannot be justified in the circumstances. Nature Canada stands firm in its conviction that the NEB has not adequately evaluated the potential impact of more oil tankers travelling through the narrow channels of the Salish Sea of British Columbia. Further, the federal government needs to step up to protect threatened marine birds and mammals In the first set of NEB hearings, Nature Canada and BC Nature, represented by Pacific Centre for Environmental Law and Litigation (Pacific CELL), urged the NEB to conduct an assessment of project-related shipping that would properly consider impacts of a pipeline expansion. The NEB did not take our advice; the NEB’s environmental assessment clearly did not adequately consider risks posed by the proposed pipeline expansion to marine and other birds in the Salish Sea. Our conclusions on this have not changed in the so-called reconsideration hearings, and in fact have been reinforced by updated evidence submitted our expert Anne Harfenist. Under the current conditions, the Trans Mountain project would increase Edmonton to Vancouver pipeline capacity from 300,000 to 890,000 barrels per day, and result in oil tanks moving almost daily through the Salish Sea past critical habitat. Increasing oil tanker traffic with Trans Mountain bitumen in the Salish Sea, with its powerful winter storms and narrow curving channels, will increase the risk of a catastrophic oil spill. 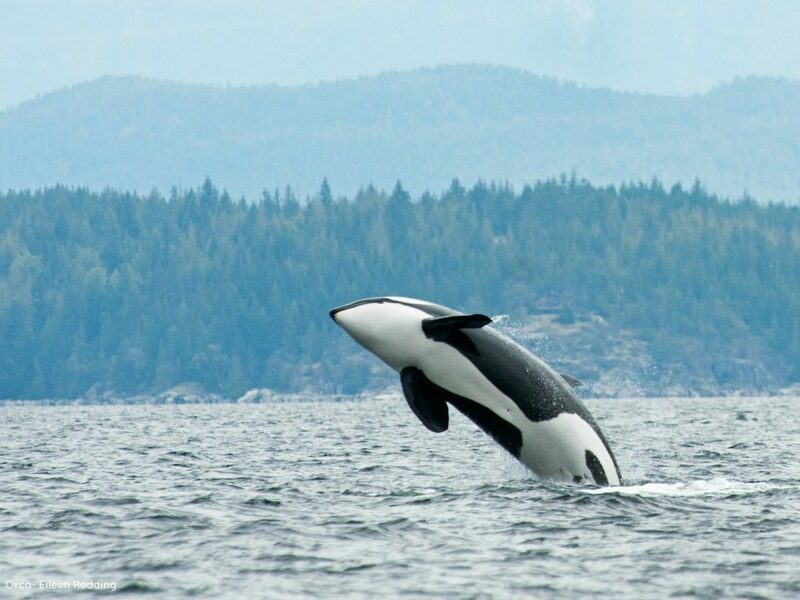 It will also create significant noise disruption to the already endangered Southern Resident Orcas on a daily basis. 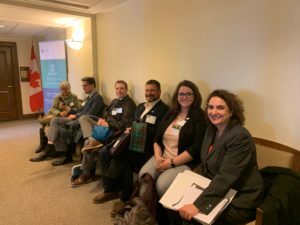 Nature Canada and BC Nature are again represented at the hearings by Pacific CELL lawyers Chris Tollefson and Anthony Ho.